Configure the physiological and anatomical organization of the nervous activity, defining and recognizing their structure and function. Manage language and the basics of brain activity to classify and understand the functional organization of the nervous system models and their expressions in the field of behavior. Analyze immediate applications of the subject content, and articulate them with the following matters in understanding the organization of behavior in their various contexts. Recognize the main structures of the central and peripheral nervous system in its three-dimensional location. Understanding the systemic organization of the nervous structures, as the main laws of functional organization. 1.1.1 Axes Plans and guidance. SN SN 1.3.1 Central and Peripheral. 1.3.2 Core Structures: spinal cord, spinal nerves, brainstem, cranial nerves, cerebellum, diencephalon white matter, basal ganglia, limbic system and cerebral cortex. 1.3.3 autonomic nervous system (ANS): sympathetic and parasympathetic. 1.3.4 Meninges, CSF and ventricular system: structure and function. Recognize the main microscopic structures of the central nervous system. Understand the role and importance of each cell type. 2.2.1 Neuron: types and classifications. 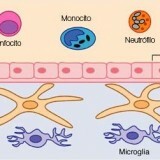 2.2.2 Neuroglia: types and functions. 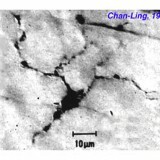 Axonal Myelination 2.3. Gray matter and white matter. 2.4 Blood-brain barrier: Concept, formation and characteristics. Understanding the development of the nervous system throughout the life cycle. Characterize the different developmental stages of the SN. and relate these stages in organizing different purposes adaptive behaviors. Differentiate ontogenetic development patterns and analyze the organization of the different structures of the SN. 3.2.1 Formation of the neural tube and its evolution: centralization, encephalization, differentiation and folding. 3.3 The physiological aging process. Analyze excitation principles and ionic conduction in neural processing of information. Conceptualize most important electrochemical mechanisms, and relate the principles of psychopharmacology. 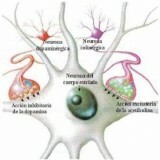 4.1.1 Functional Areas of the neuron. 4.2 Electrical properties of the neuron. Mechanisms 4.2.3 ion excitation and inhibition. 4.2.4 excitatory and inhibitory postsynaptic potentials. 4.2.5 Temporal and spatial summation. 4.2.7 Absolute and Relative Refractory Period. 4.2.8 Propagation, driving and transmitting information in nerve cells. 4.2.9 saltatory conduction: conduction velocity. Analyze and recognize the steps in the chemical transmission of synapses. Conceptualize early hormonal and pharmacological action. Understand the fundamentals of drug addiction and substance use for therapeutic purposes. 5.1.6 Synaptic plasticity, habituation and learning. 5.2 Type of Communication in living organisms. 5.3.4 Mechanism of action on receptors in the nervous system. 5.4 Mechanisms of hormonal action in chemical communication. 5.4.3 Regulation of hormone secretion. 5.5 Pituitary: neurohypophysis and adenohypophysis. 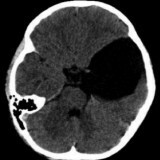 5.6.1 supraoptic and paraventricular nuclei. 5.6.2 Systems arginine-vasopressin and oxytocin. 5.7 Differences between hormonal and nerve signal signal. Identify and classify the different structures involved in the mechanisms of reception of stimuli, and the development of movements and actions. Compare receptive modalities and relate the higher structures of SN. 6.1 Biological basis for sensory processing. 6.1.5 Concept of Sensitive Unit. 6.3.1 Receivers: types and functions. 6.3.4 Diencephalon: thalamus Nuclear Organization and its relation to the cortex. Connections. 6.3.5 Cerebral Cortex: cytoarchitecture and organization of sensory and sensory functions. 6.4.1 The somatosensory system: Types of skin sensitivity and related nerve terminals. Touch, pain, cold, heat, etc..
6.4.2 The vision: main theories of color and its neurophysiological basis. The eye and the retina. The information processing. The critical period of visual and development ocular dominance. Anatomy of the neural pathways of vision. 6.4.3 Hearing: The sound waves. Structure of the outer ear, middle and inner. Neural pathways for hearing. 6.4.4 Balance: Anatomy and physiology of the vestibular system. Vestibular tracts brain. The vestibulo ocular. 6.4.5 The smell and taste: Relevance of the sense of smell in humans. Neuroanatomy and physiology of the nasal epithelium and the olfactory bulbs. Theories about the mechanism of olfaction. The sense of taste the different flavors and taste buds. Electrochemical coding of taste information. 6.5 Coding of intensity sensation. Analyze and integrate subsystems producers of motion and action. Recognize and characterize changes characteristic of sensory perception and movement. 7.1 Anatomy and physiology of motor control. 7.1.1 The neuromuscular junction: structure, the plate potential and toxin action. Myasthenia Gravis. 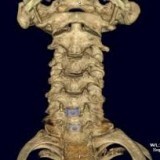 7.1.2 The spinal cord: morphological Organization: white and gray. Afferents and efferents. Spinal nerves. Ascending and descending pathways main location and function. Reflections: monosynaptic and polysynaptic. Motion control and sensory feedback of muscles and joints. 7.1.3 The brainstem: Location and specific motor function of cranial nerves. Properties of the main beams down and bottom. Location and function of relevant nuclei. 7.1.4 Cerebellum: Phylogenetic and functional divisions. Cytoarchitecture of the cerebellar cortex. The afferent and efferent connections of the cerebellum. Communication with the cerebellar cortex. Non-motor functions of the cerebellum. Cerebellar disorders: ataxia, dysarthria, nystagmus, and hypotonia. 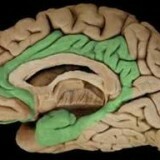 7.1.5 subcortical structures: the striatum: caudate nucleus, putamen and globus pallidus and subthalamus. Intrinsic connections and main afferent / efferent. Role of voluntary motor regulation. Striatal pathology: Parkinson’s disease. 7.3 Planning, Modulation and Implementation. Configure nerve activity as organizing integrated systems. Conceptualize learning as a tool organizer brain function and mental activity. Recognize different levels of expression and organization of major cognitive functions. 8.1.1 Principal fissures and lobes of the neocortex. 8.2 cytoarchitecture of the neocortex. 8.2.1 Features of the cerebral cortex. 8.2.2 Layers of the Cerebral Cortex. Í 8.2.4 Areas Association and Projection. 8.3 Lateralization of brain functions and asymmetries. Limbic System 8.4: relationship with the emotional and memory. 8.6 Warning Systems cortical and sleep-wake process. 8.7.2 Neural bases of language disorders. Weekly lectures will be developed using projection and audiovisual media. Classes will be participatory in the structuring of knowledge, and will require the prior reading of relevant bibliographic material. It is planned to develop the analytical program as the sequence of its units and the selected bibliography. The student must complete 80% attendance. Applying such a rubric Rubric . 1. Arthur Guyton (1994) Anatomy and physiology of the SN. Edit. Pan. 2. Richard Snell (1990) Clinical Neuroanatomy. Edit. Interamericana. 3. Afifi, AK and Bergman, RA (1999) Functional neuroanatomy. Mexico: McGraw-Hill. 4. Bear, MF, Connors, BW and Paradiso MA (1998) Neuroscience: Exploring the Brain. Barcelona: Masson-Williams & Wilkins. 5. Bloom, FE and Lazerson, A. (1988) Brain, Mind and Behavior. New York: WH Freeman & Co.
6. Bradford, HF (1986) Fundamentals of Neurochemistry. Barcelona: Labor. 7. Bunge, M. (1985) The mind-brain problem. A psychobiological approach. Madrid: Tecnos. 8. Carlson, NR (1999) Physiology of Behavior. Barcelona: Ariel Psychology. 9. Carlson, NR (1986) Foundations of Physiological Psychology. Mexico: Prentice Hall. 10. Carpenter Malcolm (1990)? Neuroanatomy Human? Edit. Polity Press. 15. Greenfield, SA (1997) The human brain. New York: BasicBooks, HarperCollins Publishers. 16. Kandel ER & Schwartz JH (1989)? Principles of Neural Science? Elsevier North Holland NY. 18. Kiernan, JA (2000) The human nervous system. Mexico: McGraw-Hill. 19. Bryan Kolb & Ian Q. Wischaw (1986) “Fundamentals of Human Neuropsychology” Edit. Labor SA Madrid. 21. Martin, JH (1998) Neuroanatomy. Madrid: Prentice-Hall. 23. Mias Carlos D., (1995)? Relations between nerve activity and organization of mental activity. Review of Explanatory models? Edit. National University of Cordoba. 26. Pinel, JPJ (2000) Biopsychology. Masrid: Prentice Hall. 28. M. Rosenzweig & Leiman A. (1992) Physiological Psychology? Mac Graw Hill Edition. 30. Shepherd, GM (1990) Neurobiology. Barcelona: Labor. 32. Thompson, RF (1993) The Brain. A Neuroscience Primer. New York: WH Freeman & Co.
33. Warwick Cohen, C. (1986) brain functions. Barcelona: Ariel Psychology. quisiera algo de neuroimagen por favor. exelente .. quisiera algo de neuroimagen por fa..